“Hey, Man,” Brad said as he held the door open. He wouldn’t have recognized his brother on the street. Neil’s face seemed to have sunk in on itself; his red eyes receding in their orbs. Brad moved forward to offer a hug but backed away sensing a wall of harshness deeper than Neil’s usual glued-in-place disapproval. “Come sit down. You want some coffee or water?” Brad felt unaccustomedly awkward. 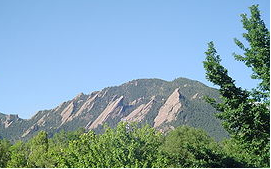 Not bothering to answer, Neil brushed by his brother and walked to the window, opened the heavy drapes revealing a crystal clear view of the Flatirons jutting majestically in the western sky, northward slanting shadows lending a cold starkness in the midday sunshine. Calista… Brad stood stone still for a moment then felt his knees go soft as he fell onto the edge of the bed then slid to the floor, his legs straight out in front of him, limp as a ragdoll. He looked up at Neil’s unforgiving face, unable to move, feeling the earth pull him down, sucking him in, demanding to cover him with six feet of dirt. He gazed stupidly up at Neil. Neil returned minutes later with his laptop, found the hotel Wi-Fi. A Google search brought the Xatala Familia up immediately. News sites, blogs, even Wikipedia had plenty to say, none of it nice. Nicknames, mug shots, horror stories aplenty. The two brothers sat side-by-side perusing posts that read like a movie screenplay. “Were those guys in the bar part of the Xatala clan?” Neil asked. Neil sat quietly on the edge of the bed, slumped over his laptop. He closed it and walked back to the window, stared vacantly at the landscape. Brad’s eyes were huge and sad with moisture, his mouth half open. Brad looked up at his brother’s ravaged face and felt a respect he’d never known. Is this what adulthood looks like? To face the death of life and still be reasonable? To lose value beyond comprehension and move past the emotionality into thoughtfulness? Their attention was drawn to the television. “The younger brother of Alfredo Xatala, the kingpin of the notorious Xatala Familia, was killed late Saturday evening at a night club in Boulder, Colorado. Juan Xatala, aka “Torito” or “Little Bull”, was announced dead on the scene after involvement in a barroom brawl. Neil Durham, a resident of Boulder was arrested later that night on a charge of manslaughter and released on bond. Your really good at writing, I am enjoying reading the chapters as you finish them. Thank you, Sue. You warm my heart! This is an awesome chapter, but I have a problem with this: ” Hell, I’m as much to blame for all this as you are.” –No way! Brad brought all the crap with him, and Neil got involved out of love for his brother. I would much more believe that Neil would say something implying how guilty HE feels for having ever helped Brad in the first place, and then for having left the scene. So, guilt, anger, yes, but I don’t see Neil as taking on an equal share of the blame here. I do see him acknowledging that they have no choice now but to work together to try and fix things, but I think Neil shouldn’t go so easy on Brad here. You’re the best. It took me a long time to write this chapter. The emotions are complicated and hard to “show”. It’s good to know what’s not working as well as it should and having options offered.